A Happy Healthy Mummy: Christmas kit and caboodle! Unless you've been hiding under a rock - or have a far superior social calendar than me - you'll have noticed Strictly is back on our screens of a Saturday and Sunday evening. If this has inspired you to release your inner dancer, you should cha cha cha on over to Dance Gear. It's been the go-to place for British-made dancewear for nearly 40 years. You'll find everything you need for ballet and jazz, plus ballroom and Latin - including uniforms and a mens range. It also offers a made-to-order range - perfect if you're after a particular colour combo, prefer a certain fabric - or want to be stage-ready. I've got the Darcey catsuit - which I ordered in black and blue in cotton lycra in size 3. It's super soft, fits perfectly (the smaller sizes are actually shorter in length too for once!) and is ideal for wearing in stretch classes as I never have to worry about my workout clothes riding up or parting company! I think it's a great buy for Pilates, yoga, barre and Zumba classes - as well as dedicated dancers. There's a newer approach to skincare I've noticed lately - and that's buying your products in dry form - and adding water (or in some cases an alternative like coconut milk) when you're ready to use. One chemical-free brand with this approach is SkinYoga, a vegan, fragrance- and paraben-free range (read more about parabens here). Keeping the products dry is a way of naturally preserving the active ingredients right up until application. The range includes masks, scrubs and washes for the face and body, as well as foot treatments. Another great product harnessing this approach, is the Maca Clay Mask from Odylique. The powdered mask contains green and white mineral clays to gently deep cleanse and detox and uses organic and Fairtrade sugar cane and organic oats. It's suitable for all skin types – including acne prone and oily skin and you simply mix with pure water or customise with yogurt, coconut milk or an Odylique Super Tonic according to your skin type. Finding a smaller gift - that's healthy, fun and of some actual use can be hard. Novelty underwear, dodgy selfie sticks and cheeky slogan tees all end up in the charity shop by January. But Secret Santas behold! Real Good Ketchup is the new sauce with a lot less sugar per squeeze. In fact it's an award-winning vegan product hoping to tackle our addiction to the sweet stuff - and the inevitable health problems we'll face if we can't cut down our intake. This groundbreaking garnish was developed by a parent looking for a solution for her child (in this case, founder Elizabeth's son, who reacted badly to sugar as a small child). While a dollop (and who stops at a dollop????) 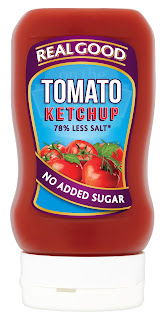 a day of typical ketchup adds up to 365 sugar cubes consumed a year - Real Good Ketchup has no added sugar (just naturally-occurring sugar) and is 100 per cent plant based, so that's absolutely NO sugar cubes at all. 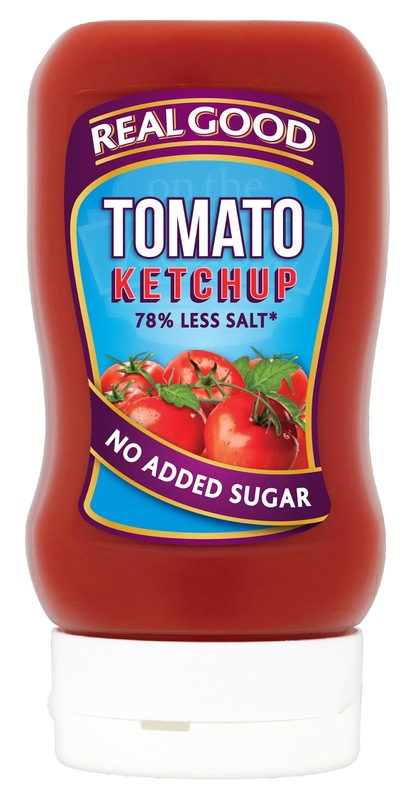 Real Good Ketchup also has a rather dramatic 78 per cent less salt that regular ketchups. You'll find it in the Co-op, Morrison's, Ocado and Wholefoods Market. Perfect for post-party New Year weight watching! Feel this, it's 'boyfriend material'! If you're looking for athleisure (which is the manly form of 'activewear' - sing it!) for the fit man in your life, look no further than the rather discreet brand Xavier Athletica, as worn by Daniel Craig, Nick Grimshaw and Samuel L Jackson. It's a small but perfectly-formed range of clothing designed to cope with the gym and rest days with the former lead designer of Adidas making the magic behind the brand. Crafted and designed on these very shores, there's no screaming logos or scratchy synthetics (it's all made from premium natural fabrics). Choose from a hoodie, a long-sleeved tee, slim-fit t-shirt, sweatpants and vest. And with the Christmas shopping done early, you'll be able to spend more time looking after yourself before the season of goodwill (and eating and partying) kicks in. Right? It's really important to keep yourself fit and healthy! so many diseases are on the lose. A slight ignorance can cause so many trouble!! I mean seriously! !